It’s not possible to prevent any and all emergencies from occurring, which is why the team at Jones Paint & Glass is always ready, willing and able to provide emergency board-up services at a moment’s notice. Whether your business has fallen victim to vandalism, theft, or a natural disaster of some sort, our experts have the knowledge and expertise to get the situation under control in a very short amount of time. If you have an emergency at your commercial property, simply contact someone from one of our locations at any time of the day or night, and we will send someone out to resolve the issue immediately. Our experts will assess the damage and begin taking measurements for the new windows and doors your office will need in the future. We will get your windows and doors installed as soon as we possibly can so your employees can return to business as usual. We also have a team that can work directly with law enforcement companies and insurance agencies to ensure the legal process goes as smoothly as possible, and that the appropriate parties are held responsible for the damage. If you’ve had an emergency, please contact us as soon as possible. Whether it’s a storm, a break-in, or just regular wear and tear, every business needs to repair or replace their windows and doors at some point in time. Our team of experts can come to you, assess the damage, and then recommend windows and doors that fit the needs of your business and even save you money down the road by cutting heating and cooling costs. 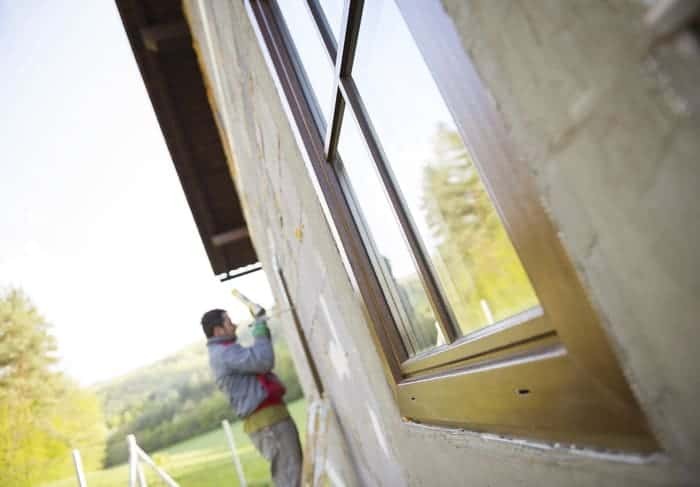 All of the windows and doors we sell and install at Jones Paint & Glass are weather-resistant, energy-efficient and backed by our special 10-year warranty that is simply unmatched in the window and door industry.